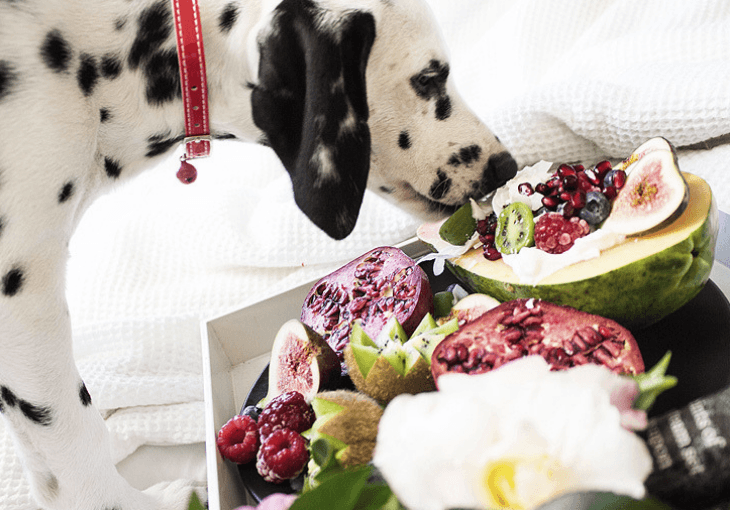 →Should You Be Feeding Your Dog The Raw Food Diet? When it comes to your pet, you want nothing but the absolute best. You've probably explored different diet plans and options for your dog or cat. One popular pet diet fad today is keeping your dog on a raw diet plan. It focuses on feeding your dog raw meats and bones as well as fruits and vegetables while cutting out processed foods and grains. Is Raw Feeding Safe for Dogs? There is no perfect answer if this diet is safe for dogs or not. 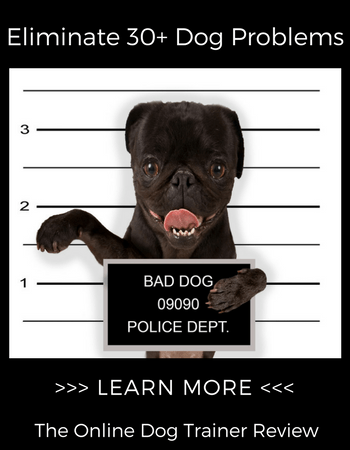 As there are quite a few benefits and risks associated with dogs on a raw diet. We cook our meat to get rid of bacteria and disease living within it. When this is consumed without being cooked, it comes with a risk. Another risk is that without a very balanced diet, your dog's overall health may suffer. 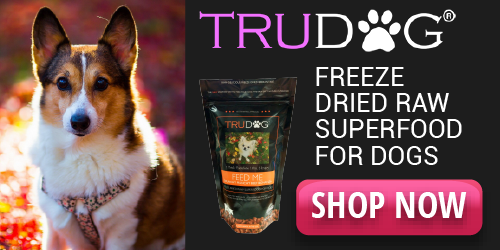 So, it's better to feed high-quality nutritious food which is offered by various dog food brands in the market. Another big risk is your dog choking on animal bones from this diet. Consuming bones can lead to internal punctures and broken teeth. An internal puncture can quickly become deadly for your pup. It is also important to be aware of your exposure to raw food as a human. You need to be incredibly careful when preparing and handling raw meat and bones for you pet. If you touch raw meat and then touch food that you are planning to consume you may expose yourself to food borne illnesses, which can be extremely painful and dangerous for humans. Note: The raw food diet for dogs will take close monitoring from both you and your veterinarian to reap the benefits. If you are going to put your dog on this diet, stick to the basics. Muscular meat, ground bones, organs, and raw eggs are all great places to start. Spinach, celery, apples, broccoli, and yogurt are also good to supplement into the diet. It is important to have a wide array of different foods to keep your dog's diet balanced and healthy. There are several pros associated with this diet. The cons, however, are that there isn't a ton of compelling research for this diet and its benefits. The risks of the diet should also not be overlooked. The overall health of your dog may be compromised if the diet is not followed successfully and monitored appropriately. Another pro to consider when thinking about placing your dog on this diet is that they can now eat some of the scraps of unfinished food that your family doesn't eat. Instead of throwing away raw chicken or extra vegetables, you can give them right to your pup, saving you the time of buying dog food and wasted money for throwing out unfinished meals. On the other hand, supplementing human food into your dog's diet may end up being more costly than your budget for regular dog food. As you are consciously having to buy more food instead of just giving them scraps and extras. You need to decide if the extra cost associated with the diet, in this case, is worth the health benefits that it offers. How much to feed your dog is always a tricky question because it varies so greatly based on which dog we are talking about. The rule of thumb is generally between 1 and 1.75 pounds of food per day depending on their size and activity level. You will need to play around with the exact numbers as you get further into the diet. This is one of the aspects of the diet in which it is important to discuss with your veterinarian. Both over and underfeeding can be very problematic for your animal's health. When in doubt, give your dog smaller portions and then keep adding food if you think it is necessary. Overfeeding your dog can lead to stomach and GI intestinal issues. To keep your dog on a good raw food diet, you need to plan out their meals for each week to make sure you are incorporating all the different types of foods. Chart out which kinds of meats, vegetables, and fruits you will be buying. Keep in mind that skipping a food group or putting too much of one type of food into their diet can be detrimental for their health. Create a chart and checklist of the different foods you are preparing, the different vitamins and nutrients your dog needs, and which foods meet and benefit these needs. Mapping this all our will allow you to craft a more thorough and complete diet for your pup. Before you begin prepping for the raw food diet, talk to your veterinarian about what types of each food they recommend for your dog. Certain ages, sizes, and breeds may have more dietary needs than other and it is important that you be aware of these before buying foods for the diet. So the overall question of is raw feeding safe for dogs is a complicated and open to question. While it can be safe when carefully administered, it can also be very dangerous. There are mixed reviews and opinions on giving your dog a raw diet. Before you make any decisions, do your research carefully, assess your dog's individual needs, and talk to your veterinarian. Do not take on the raw diet if you do not have time to plan it out and keep tabs on your pup. Consulting an animal medical professional will help you to decide if the diet is worth the risk and can benefit your furry friend.